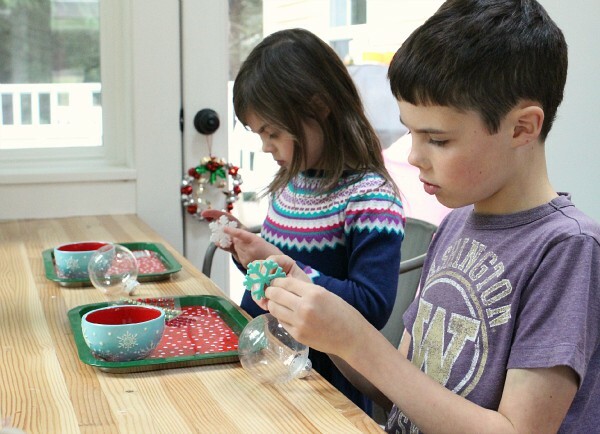 Once kids are in school, all daytime for crafting is drastically reduced. Heck, time for anything is. Quick, engaging (ie they want to do it), and not too overwhelming are the things I strive for when I am planning after-school activities. 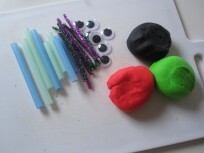 Both my kids can always benefit from more fine motor work. 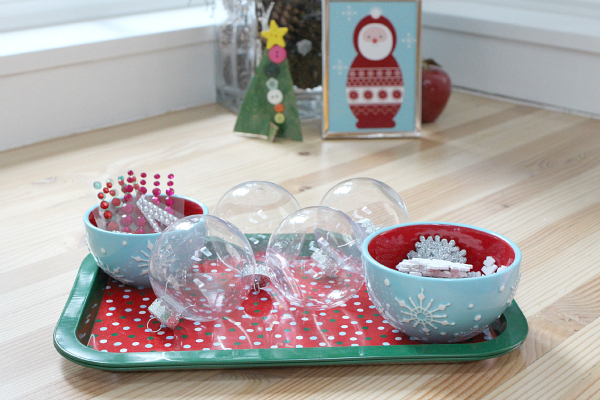 Crafts that are fun but include a lot of fine, finicky bits are perfect. 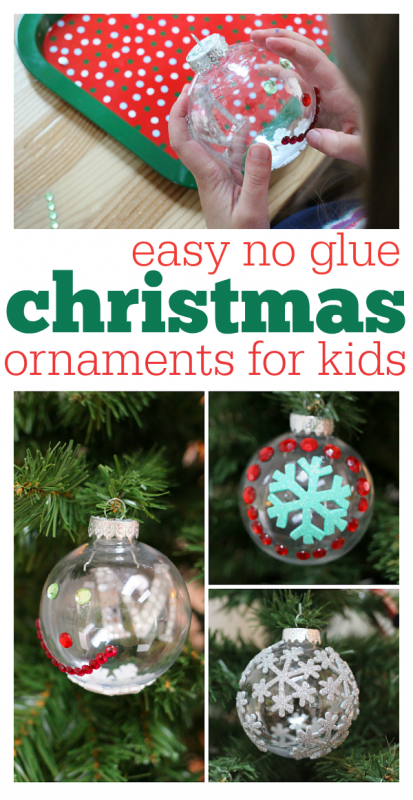 These super-fast, easy, no glue Christmas ornaments are a hit! They were easy to make, allowed them to be creative without me having to shell out major bucks on supplies, and our tree has some beautiful new bling. 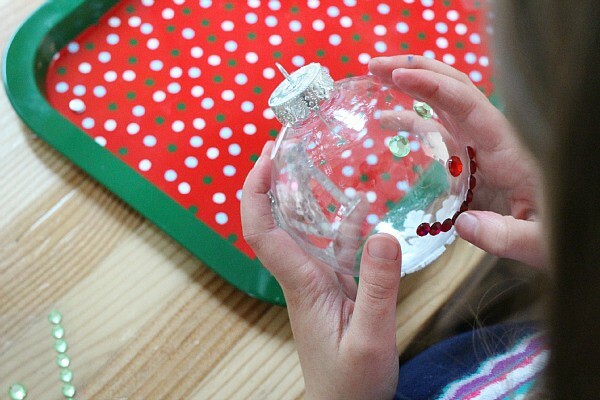 Oh and there is NO glue, which means these ornaments are PERFECT for holiday parties where you want to send a complete craft home, not something with glue still dripping. Gather your materials. 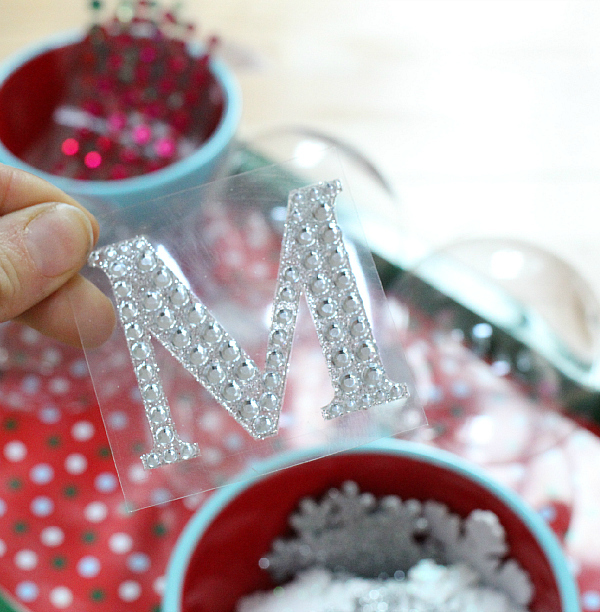 I grabbed some clear plastic ball ornaments, self-adhesive gems, self-adhesive gem letters if you want to make monogram ornaments, and adhesive foam snowflakes. 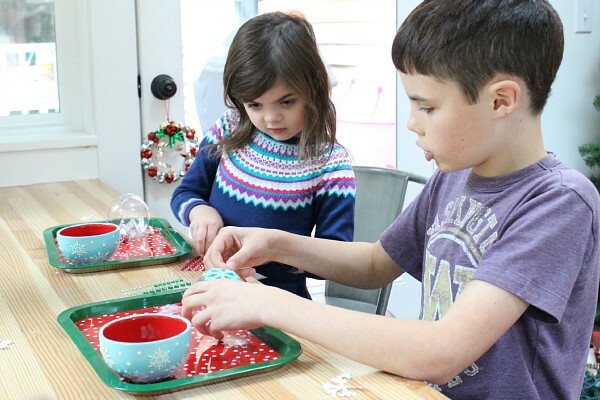 Lay out your materials and let the kids go. I loved that they were chatting to each other about their designs! My son had a plan immediately. My daughter immediately found the M and added it but then decided to flip the ornament over and make a snowman. The rad thing about this was that she counted every single gem as she added them on. Math kinda sneaks up on us some days! 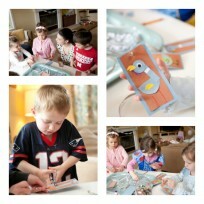 I made my own while they were crafting too. Joining in, I added all the snowflakes they didn’t use and made this. 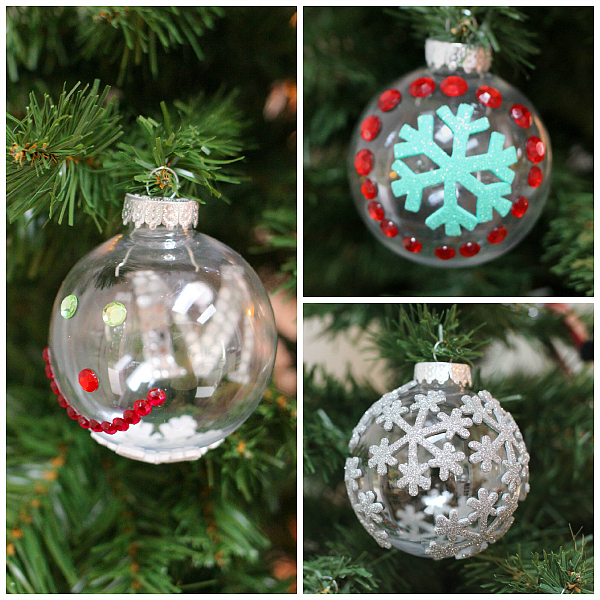 I love how all of them turned out! Plus, the short but still awesome time we all had together to re-connect after school was amazing.